That’s my MRD. It has little resemblance to the green thing (below) the online instructions led me to expect. My adventure with OReGO is off to an uncertain start. The lights don’t blink the way they should, and for the weekend the help desk is closed. OReGO — I’ve decided to go along with the overly precious capitalization — is ODOT’s attempt to show that Oregon’s first-in-the-nation mileage tax program can work on a mass scale. The state invited vehicle owners to sign up, and I did. The way it works is that you choose one of three systems or vendors for reporting how many miles you drive. 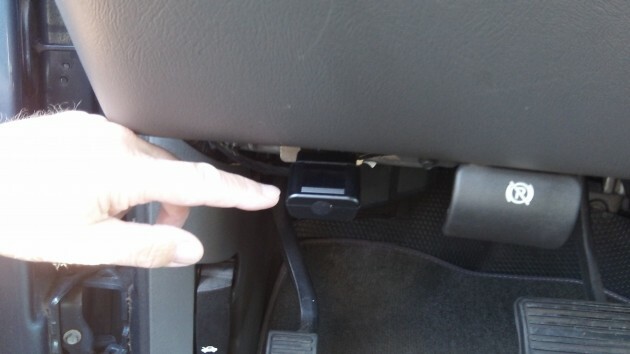 The one you pick sends you a device to plug into a port on your vehicle. Then you get an occasional bill for 1.5 cents per mile driven, along with a rebate for the 30-cents-a-gallon Oregon fuel tax you’ve paid. My gizmo arrived from its maker, Intelligent Mechatronic Systems Inc. in St. Louis, MO, in Friday’s mail. The first setback was that it looked nothing like the picture that OReGO had sent along with the instructions. Still, after dinner I plugged it in. Instead of “green lights,” it briefly flashed a red-and-green double light. That was followed by slow flashes of red, kind of like a theft-protection device. The instructions say nothing about that. They just assume the green lights will flash and that’s that. I went inside to consult the online instructions. When I went back out, a green light was flashing. I started the engine, and the flashes turned red. What did that mean? The OReGO leaflet that came with the MRD lists an 800 number for the help desk. When you call around 7 on a Friday night, you get a recording saying they are open during business hours Monday through Friday. I guess they don’t think their volunteers will run into issues with unforeseen flashing lights when they eagerly try to get started on this program when their MRDs arrive. There’s the MRD plugged in and not flashing at the moment. Good for you. We will all have fun. And with a bit of luck, you buying electrons by the amp, you may get some very responsive treatment. Jerry Pournelle, a science fiction writer and eatly adopter, ended up getting freebies, because he was an accurate reporter (and maybe vendors hoped he would say something nice). But how hard was it to find the female socket and why did you chose that vendor? I’m not sure what some of that is supposed to mean, but as for the data port in my truck, I found it right where the instructions said it would be. After reading you commentary, I am a bit confused on what your issue really is. You show 2 different RUC devices and claim “The first setback was that it looked nothing like the picture that OReGO had sent along with the instructions.” The Azuga RUD device I received was exactly as pictured. So as of now, none of us “readers” know what device or provider you went with. When you plug your device in the light will flash. With Azuga, you are supposed to wait 2 minutes then start your car. I did this and still was not allowed to log in to Azuga’s site. I kept receiving a message saying that my device had not shipped yet. This meant that the device had not connected with the satellites yet. I tried the installation process again and got the same results. 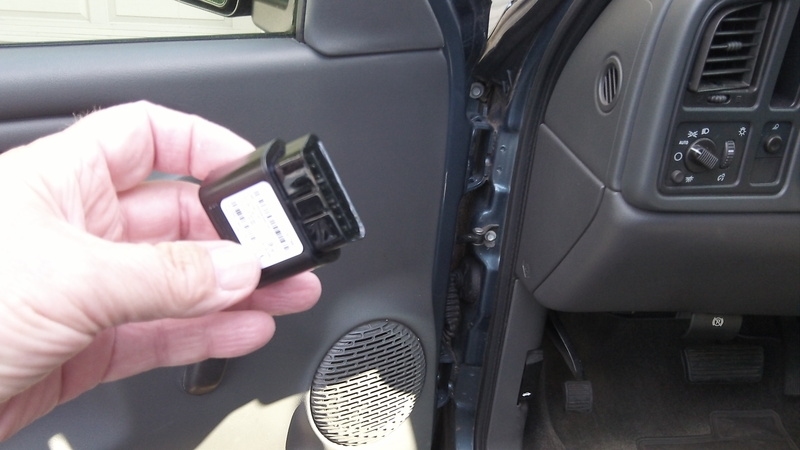 I went to bed and the next morning the car was successfully paired with the car and satellites. 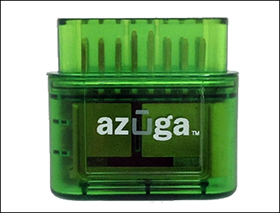 Just like a new GPS handheld unit takes time to find satellites the first time it is turned on, as does the Azuga RUC device. Once paired, it stays paired. My insurance agent is a local guy that ALWAYS tells me the truth. I’ve been with him since 1988 and I have never found a reason to change companies, or agents. He works for his clients all day every day. Hasso, good luck with your “experiment.” but I suspect you won’t be happy. I consider this plan as a simple way to defraud you from your dollars, via the auspices of the state government. I hope I’m wrong, but doubt that I am. Either way, your journalistic integrity remains with me.